L-O-V-E! Join me in this fun Linky at Literacy and Laughter! Lucky Number: <Gasp...>I don't believe in luck. Last Movie You Watched: Lincoln...Wow! Always shopping at: TPT and Meijers...I hang out at both places regularly! 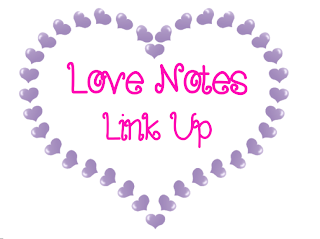 Share links to a blog you love... Please check out the awesome blogger on my blog roll. They are more than bloggers. They are friends!
. She is having an awesome Give Away...Check it out! I love birds. It is probably true that I have more pictures of birds than my own children. I have feeders all around my house and every family vacation includes at least one day of looking for birds for me to add to my list. I travel each spring to some migratory hot spot with my sisters to try to see more than we had seen the year before. Random Fact #2: My first car was a Yugo. I loved that car and drove it back and forth from St. Louis to Michigan several times. I would gladly trade my mini-van in for another Yugo as my need for hauling kids around decreases. All my husbands nephews used it to learn to drive a stick shift. It was so much fun to drive! I don't have a picture of God but I see Him in the faces of my family, students and fellow teachers everyday! I hope you'll link-up, too! Thank you Amy, for hosting the fun! I couldn't find a picture of God for my post either, but you're right. He's in those faces! ...And in yours, too, Tammy! So fun! I'll have to check this linky out! It's a fun one, Irene! I'd love to read about your loves. Thanks for taking the time to watch!! I think it's pretty clever, too!